Part of the Farmers Insurance Companies, 21st Century Insurance serves more than 20 million individuals across all 50 states. This means that if you’ve been injured in an accident, there’s a good chance you may have to deal with 21st Century. Injuries caused by an accident almost always have a significant financial impact on the parties involved. Whether you are insured through 21st Century or one of their insured individuals causes you harm, it is beneficial to understand the injury claim process. Gaining a sense of how 21st Century handles injury claims can help alleviate some of the stress associated with the accident. If you or someone you love is going through the injury claim process with 21st Century, call Zinda Law Group at (800) 863-5312 for a 100% free case evaluation with our Fort Collins personal injury attorneys. One of the first steps after any accident is to report the incident to your insurance company. 21st Century has an online claim submission form that you may utilize or you can give their claims department a call 24/7. After you file an injury claim, the company will assign a claims adjuster to the case. The claims adjuster’s job is to investigate the accident by interviewing all parties involved. The adjuster will assess property damage as well as the severity of any injuries. Whatever side of the claim you are on, it is important to answer any questions as honestly as possible. Documentation is key for injury claims because it helps provide a basis for your claim. Throughout the claims process, 21st Century will require documentation of medical treatment and any other expenses that relate to the accident. It is important to retain copies of any medical bills and other out of pocket expenses for which you are seeking reimbursement. The sooner that you can provide the requested documentation to the insurance company, the quicker the process will move. Storing the information both electronically and keeping hard copies will ensure you don’t lose something important to your claim. 21st Century will want to ensure that liability is proven before it pays out any claims. Colorado follows a modified comparative negligence approach to liability. There is an at-fault threshold of 50 percent, meaning if the plaintiff is responsible for 50 percent or more of the incident, there is no monetary recovery. If liability is at issue, you can expect the injury claim process to take a bit longer while each side determines who was at fault. Once liability has been determined, 21st Century will likely make you a settlement offer. This offer should take into account all out-of-pocket expenses related to the accident. However, if the first offer is not sufficient, you can decline to accept the settlement offer. 21st Century may be willing to negotiate with you until more favorable terms are reached for both parties. Remember: you do not have to settle, especially if your expenses far exceed what the insurance company is willing to offer. A personal injury attorney can help assess whether the settlement is fair in light of your specific circumstances. 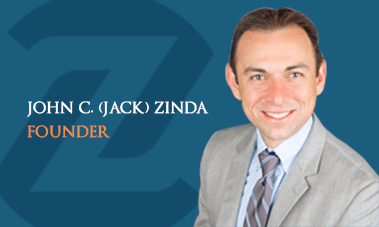 At Zinda Law Group, our Fort Collins accident attorneys have helped thousands of people navigate injury claims with 21st Century Insurance and other insurance companies. We have the knowledge and resources necessary to help you seek maximum compensation for your damages. Our firm also believes that an injury victim should never have to worry about the ability to afford excellent legal representation. That is why we offer 100% free consultations, and why you will pay nothing unless we achieve a favorable settlement, judgment, or verdict for your personal injury case. That’s our No Fee Guarantee. If you or your loved one has been injured in an accident, call Zinda Law Group at (800) 863-5312 to receive your free consultation with our Fort Collins personal injury attorneys.